The email was to Brooke Smith of Mayor Landrieu's office. Smith then sent the email to Scott Hutchinson and Mark Romig. 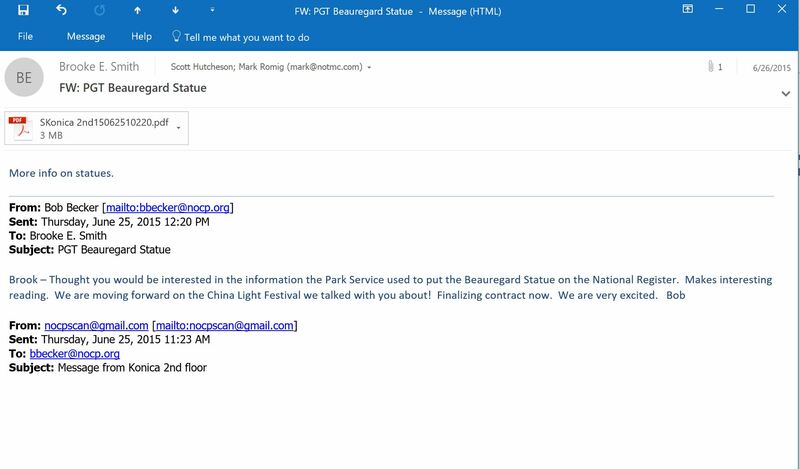 Becker suggested the 1999 application by a staff member named Jonathan Fricker of the State Park's Office would help justify removing the Beauregard statue. The email contained an attachment as the application from 1999 in which Fricker opens the application with claiming the statue was part of the cult of the lost cause. 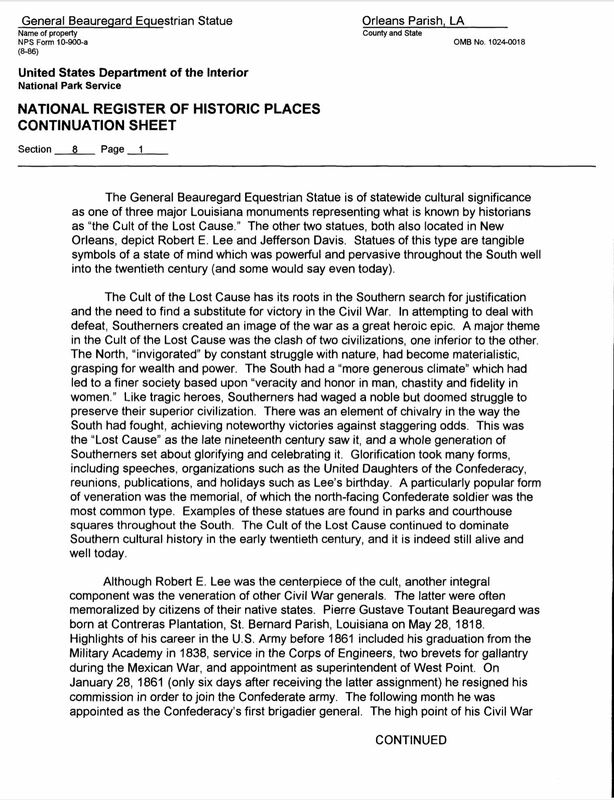 There was no reason for Fricker bring up "The Cult of the Lost Cause" in the application for a 84-year-old piece of impressive art. Plus he was wrong. 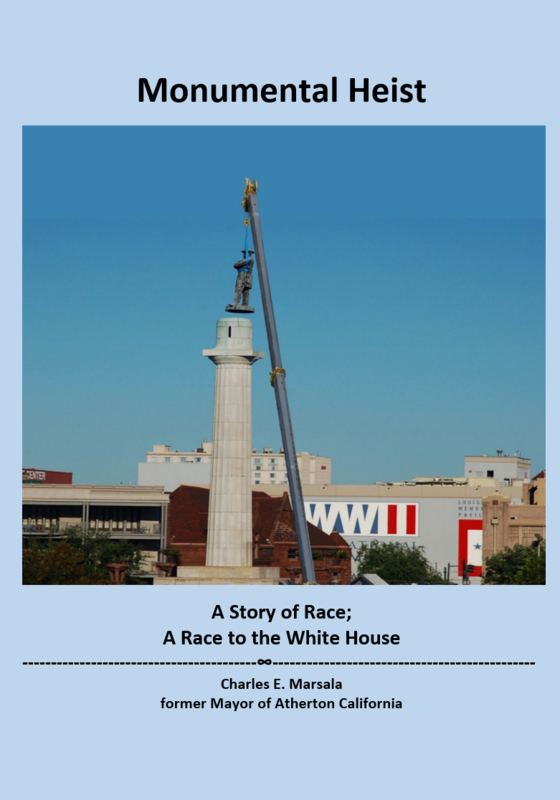 The minutes of the Beauregard Monument Association indicate the statue was erected to promote "Patriotism and Civic Duty." Bob Becker did not supply the Association minutes nor dedication speech to the Mayor's Office. "The Cult of the Lost Cause" concept relating to monuments has been pushed by politicians to insult and disparage political opponents. "I am looking for the way forward that the Mayor wants to follow." 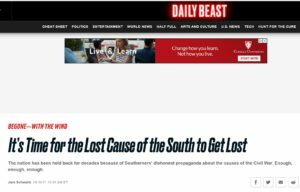 "The Cult of the Lost Cause"
In 2015, after receiving Bob Becker's email, Mitch Landrieu and his staff made "The Cult of the Lost Cause" their mantra. 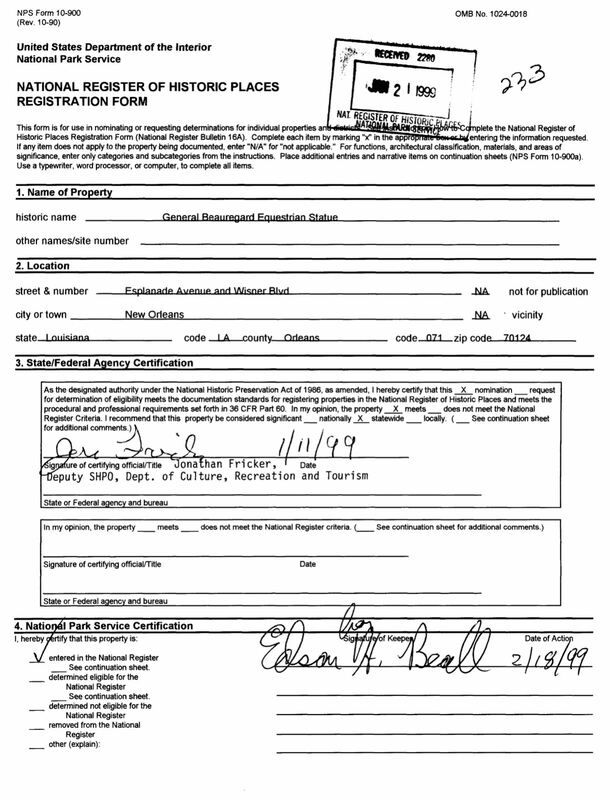 Landrieu references how his staff researched and discovered the words "The Cult of the Lost Cause" on an application Jonathan Fricker filled out in 1999 to place the statue on the National Register of Historic Places.